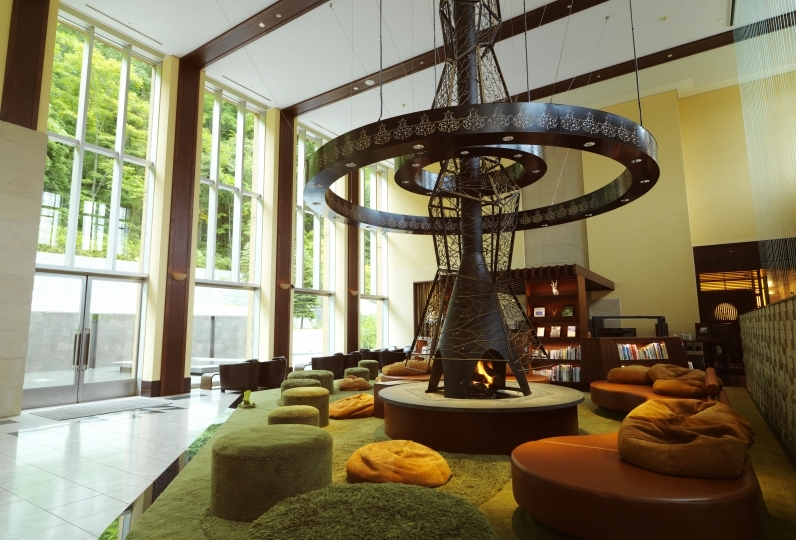 Jozankei is well known for its hot spring in Sapporo, located by the national park. 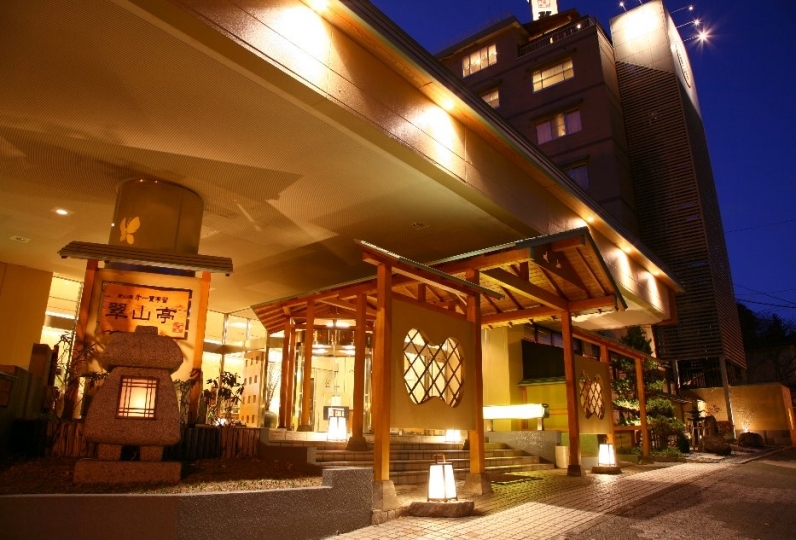 This hotel a history of 90 years where it has preserved the tradition of hot spring. 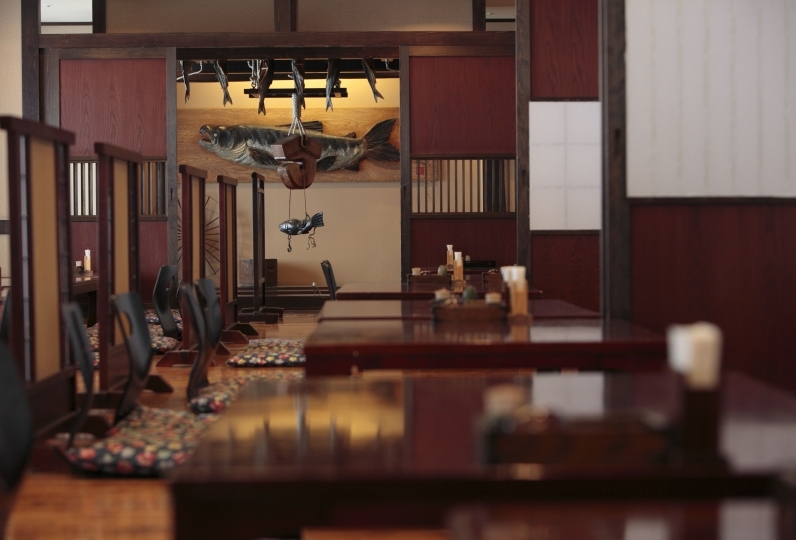 Hana Momiji is a hotel combined with Northern tradition and Hotel Shika no yu’s tradition. Once you step into the lobby, a great garden is right in front of you to welcome with the seasonal decorations. Located in the center of Hot spring street, here are ten guest rooms on one floor with Japanese style rooms which you can feel the Japanese feeling. Along with the famous hot spring “Momiji-Yu” there are two baths where you can enjoy different types original hot springs, and also enjoy three different private baths to explore different hot springs. Hokkaido food maestros have walked over Hokkaido for seasonal food and Japanese cook prepares a neat Japanese meal for guests. 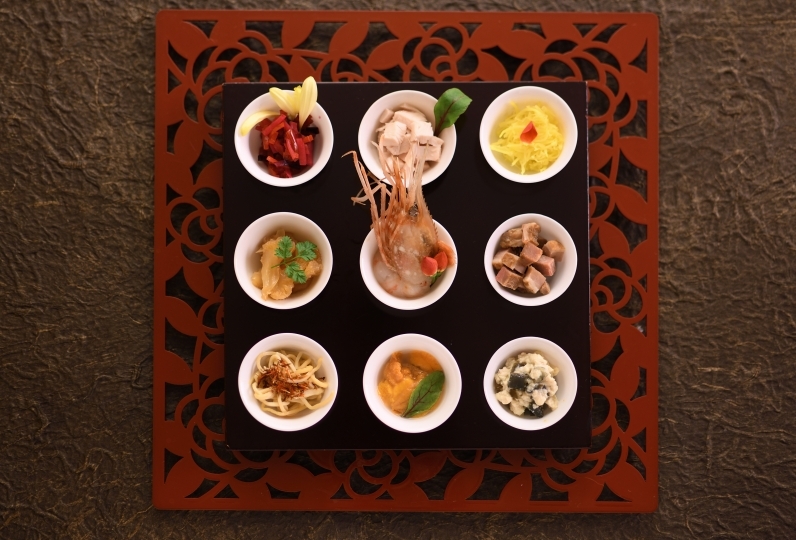 We will serve our meal with Hokkaido’s well known alcohol drinks. At the lounge, not only coffee but Japanese tea, wine and hot spring manju (sweets) are available for free. It will create an extraordinary moment with the great music from the instruments. [12F Observatory deck bath "Fugetsu"
Bath located in the highest floor, where you can observe the mountain of the national park. You can also enjoy the moon at night. It is a popular Japanese garden-like open air bath. Momiji leafs will welcome you in different colors of the season. [Private bath "Maru-yu", "Kaku-yu", "Ten-no-yu"
Starting with the observatory private bath "Ten-no-yu", there are three baths that you can enjoy from the source of hot spring. You can also use the bath from the old 90-years hotel that is locate along the mountain stream. ※It is directly connected from 4F of our building. you can enjoy coffee, wine, and various juices for free. Novels, picture books, and books related to Hokkaido, more than 500 books are available. You can bring it in your room as well. The only out door pool in Jozankei. Enjoy Hokkaido's short summer time as much as you want. ※Please contact for open periods. There are Hokkaido's well known alcohols and famous sweets shop's soft ice creams. Sapporo's famous "Shime-Parfait" is also available here. We collect ¥150 bathing tax for every adult guests apart from the staying fee. If you are going to arrive after PM7:30, there may be possibilities of us not being able to prepare dinner. Please contact if you are going to be late than PM7:30. JR Sapporo Station→Jozankei's town bus stop (Jotetsu bus, to Jozan Onsen) About 80 minutes. ※There are limited seats. Please note that you cannot ride the bus when the reservation is full by the time you contact.